One of the things I love about this blog is the list of search terms that people use to get here. It’s like a secret glimpse of what they want, and the sometimes very specific and other times wildly divergent ways they describe whatever that is. The top searches are a mix of general and Kingston-centric — Nick’s Rock, delivery wagons, dance cards, famous hermits, Old Colony Railroad, all with hundreds of hits. 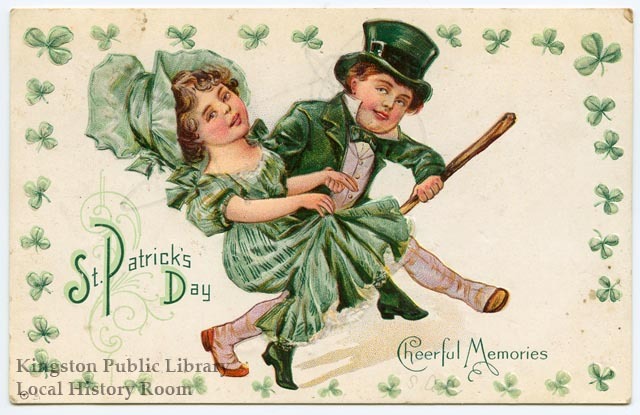 But my all-time favorite is a little ways down the list, at 23 searches over the last 4 or so years: leprechaun couple. So glad I could oblige! If you’ve ever wondered why the building at 7 Green Street, right across from the Library, has a sign on the front that reads “Adams Lodge, IOOF, 1900” stop by and have a look at this month’s exhibit. 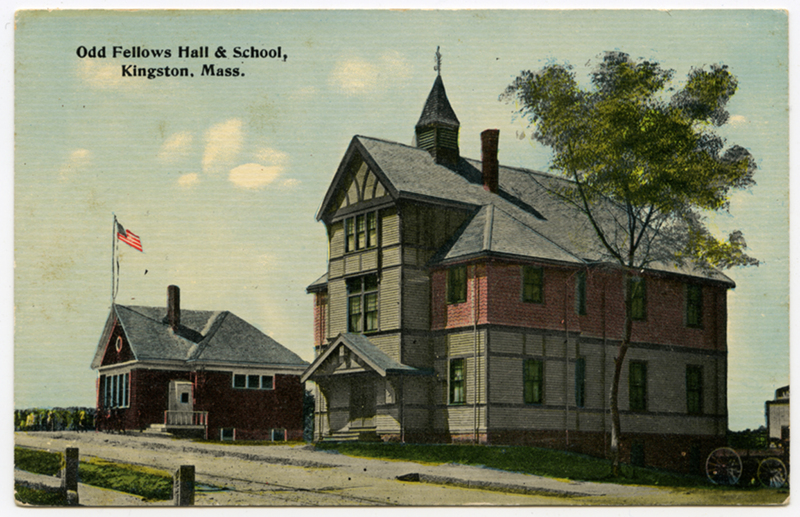 Odd Fellows Hall & School, Kingston, Mass., circa 1900.